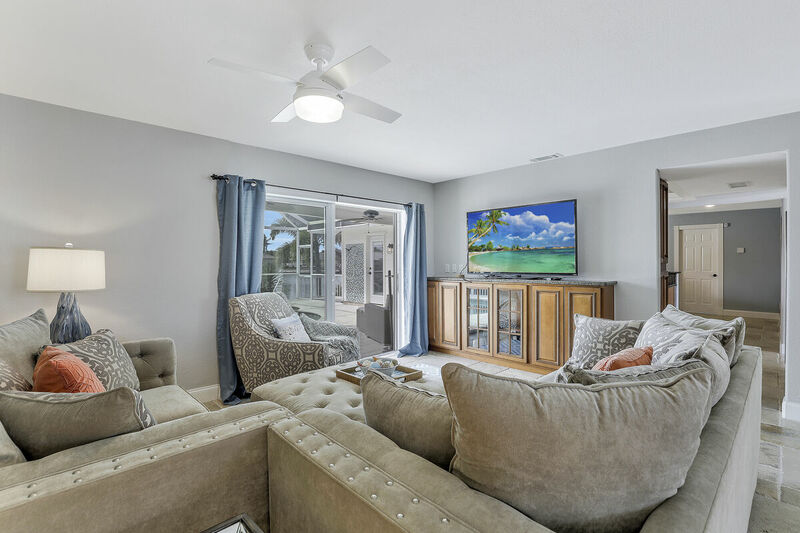 This home is large enough to comfortably accommodate 8 guests, while still offering that cozy, home away from home feeling. 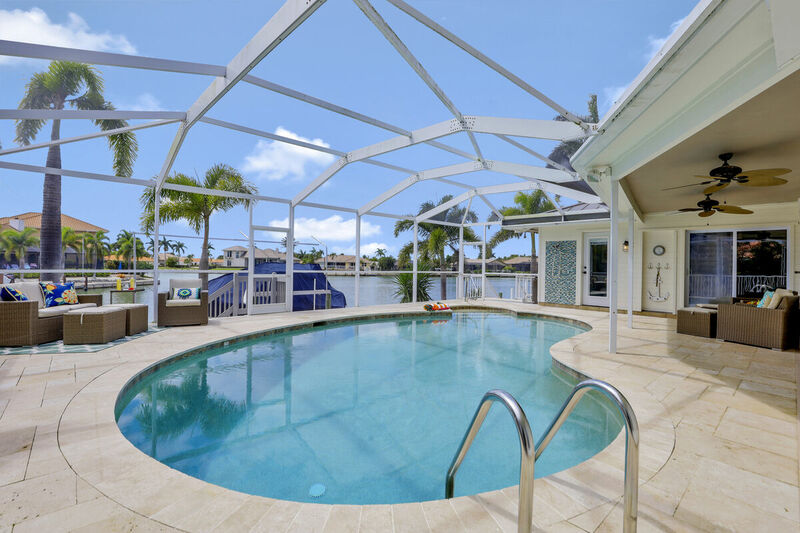 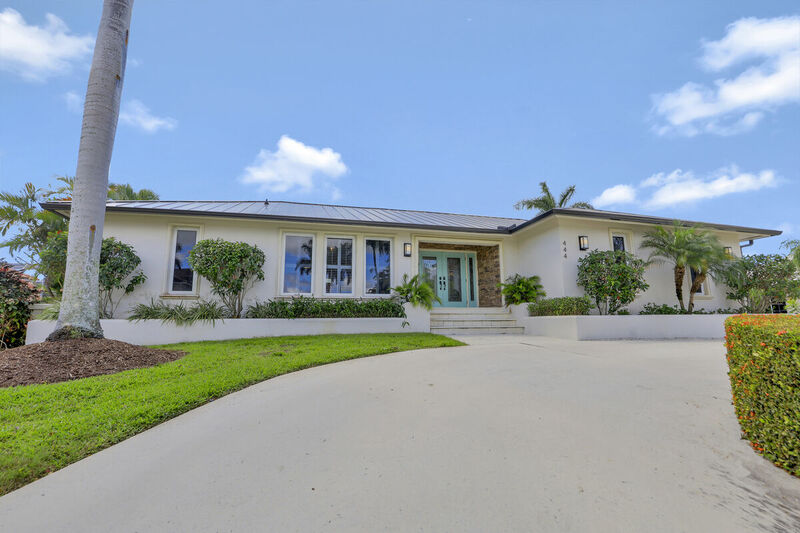 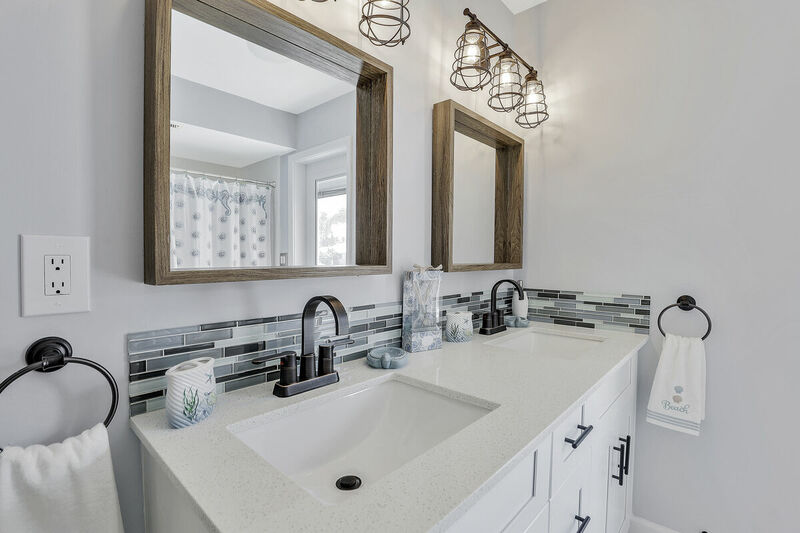 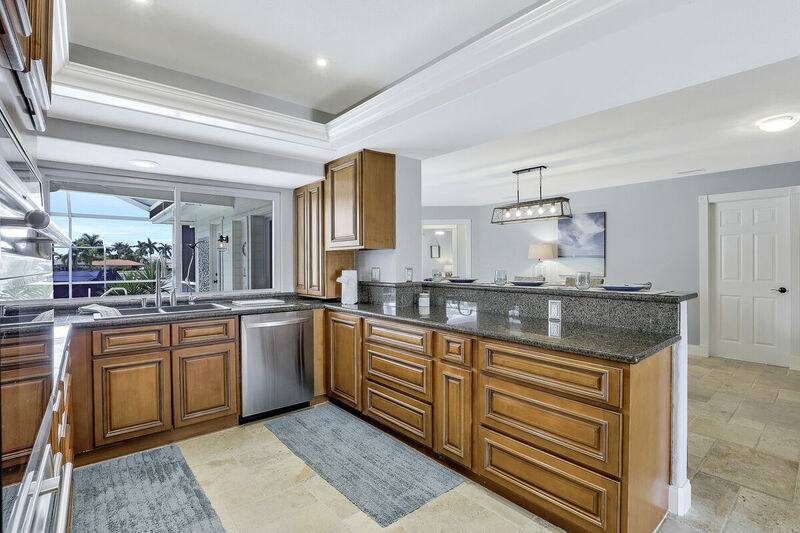 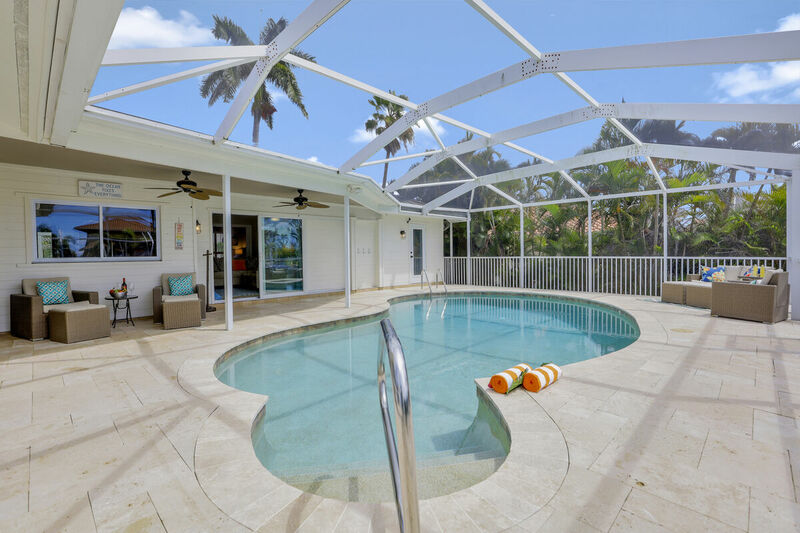 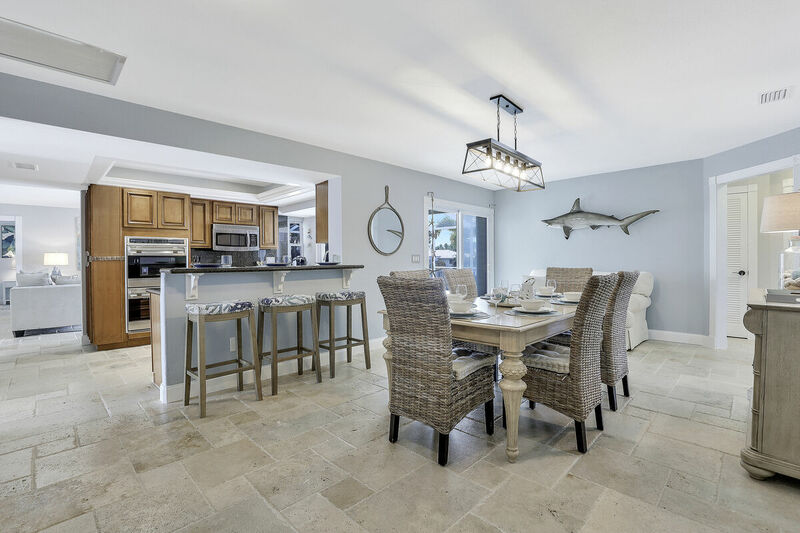 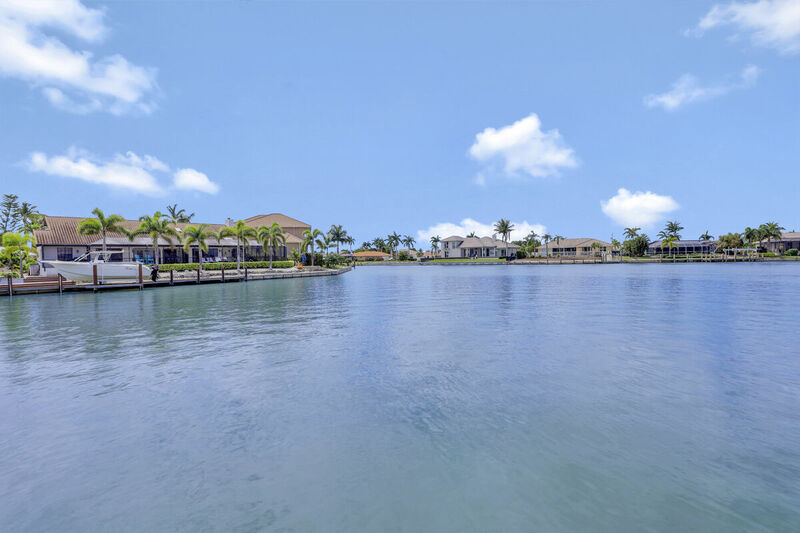 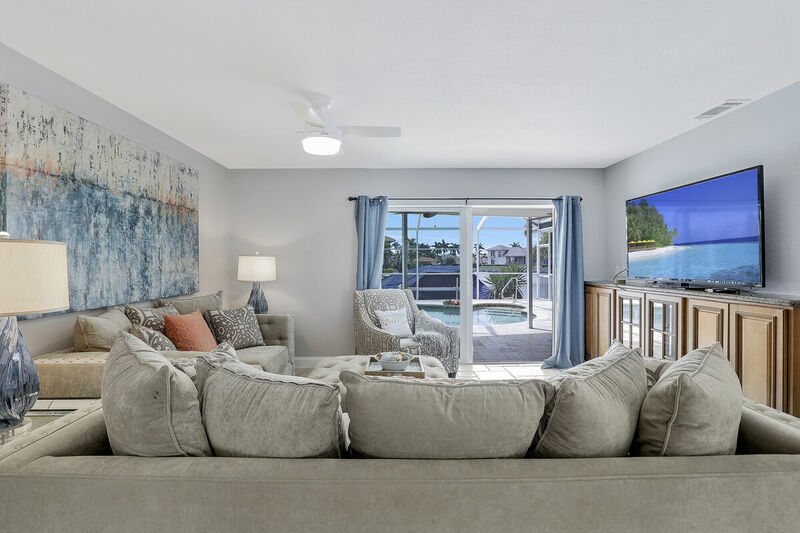 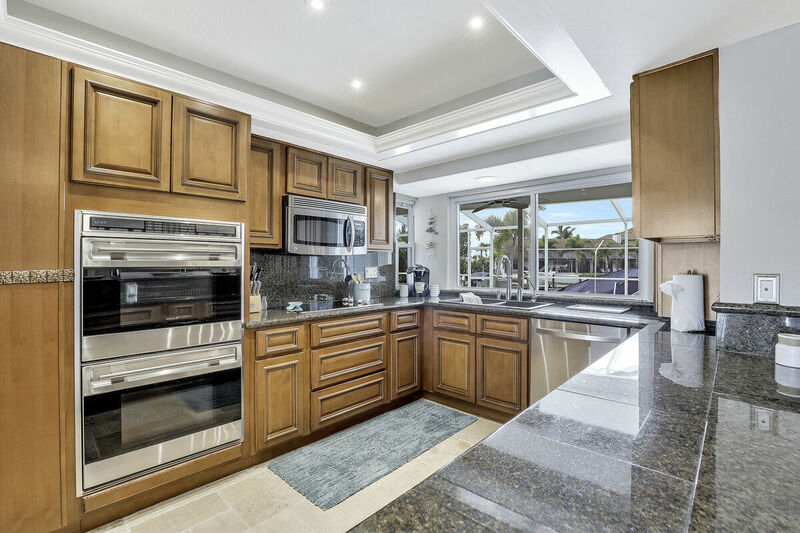 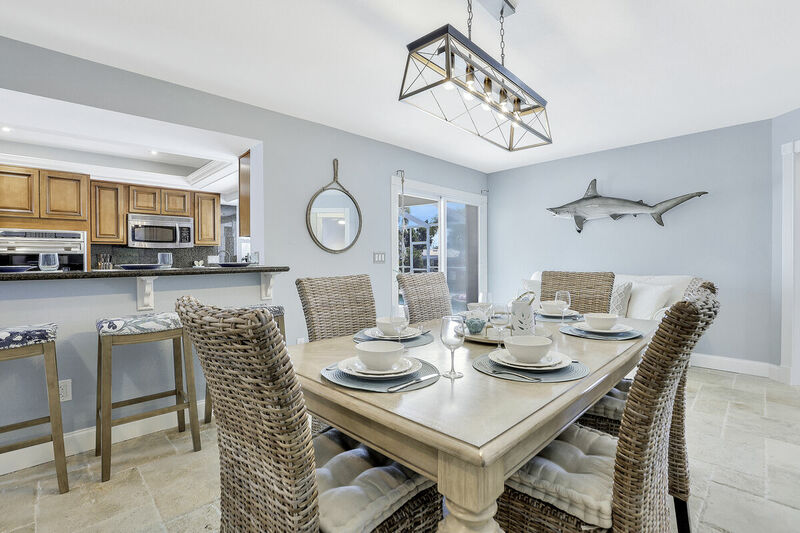 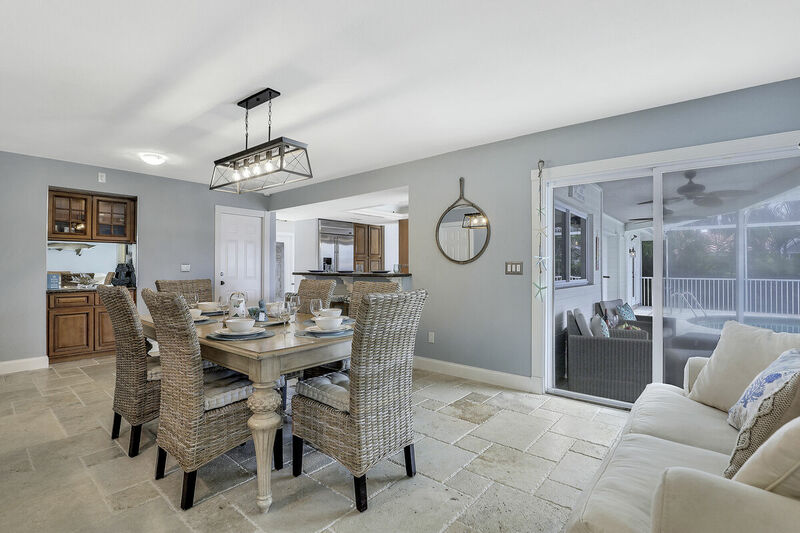 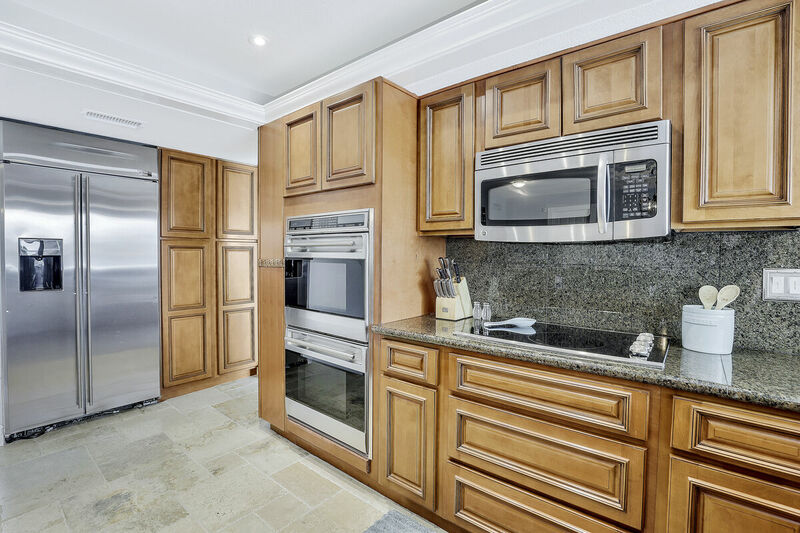 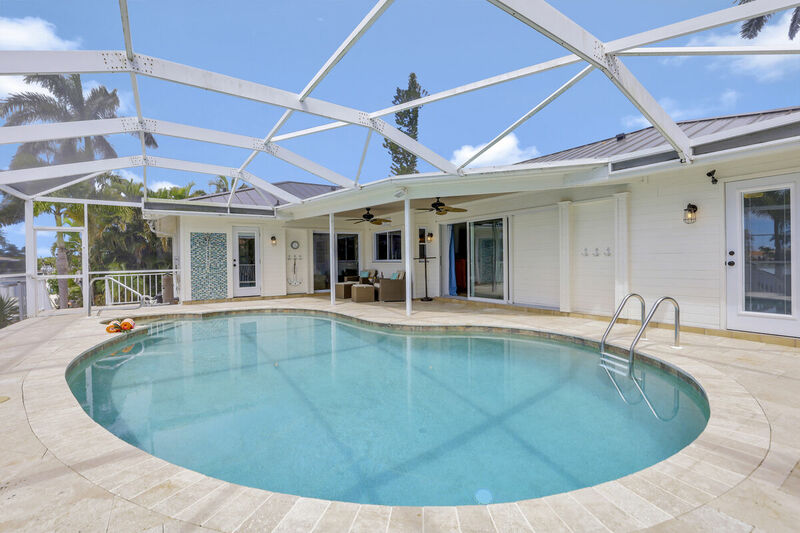 Prepare your families meals in the fully equipped kitchen with beautiful granite counter-tops and stainless-steel appliances, then enjoy your meals indoors or out by the pool overlooking the water. 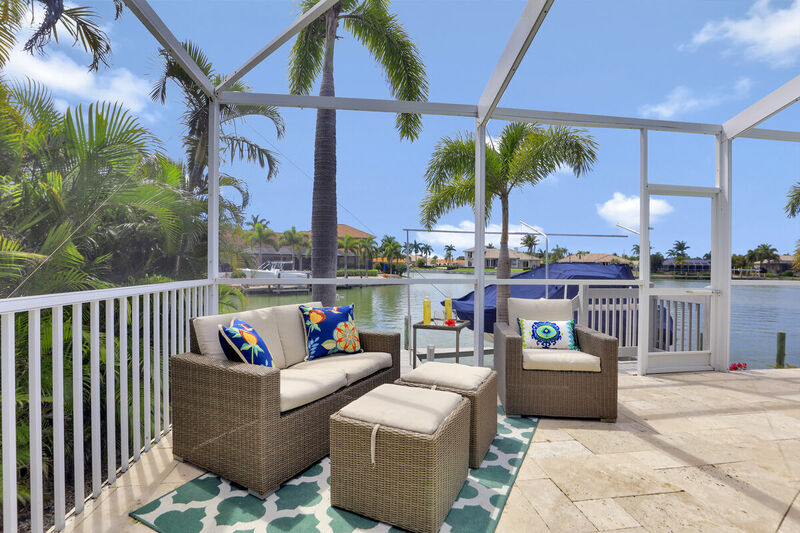 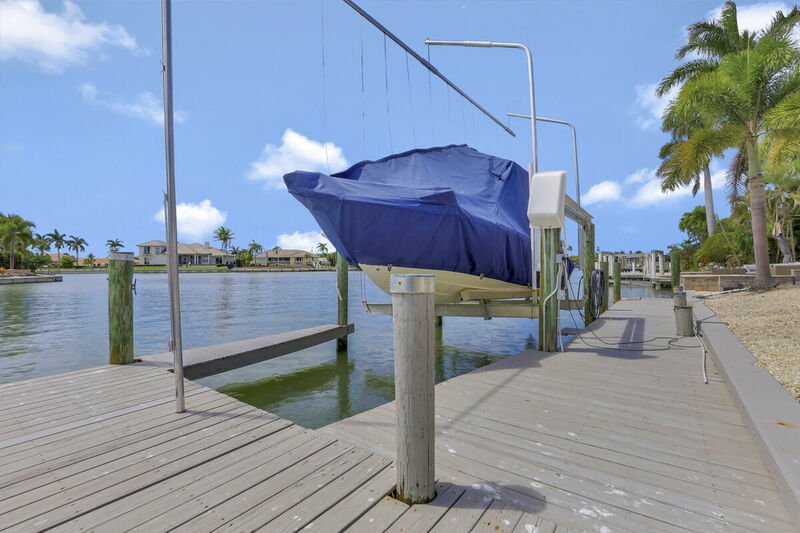 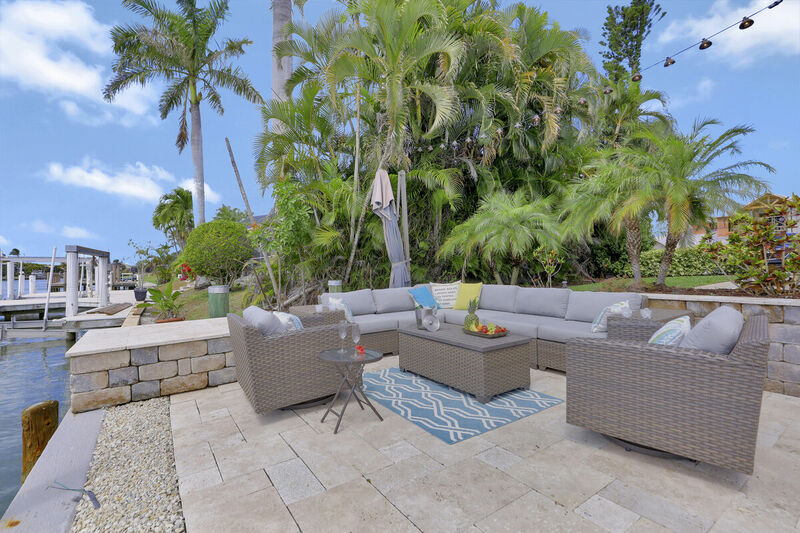 Enjoy your morning coffee in the seating area by the dock while taking in the beautiful water views and the warm Florida weather. 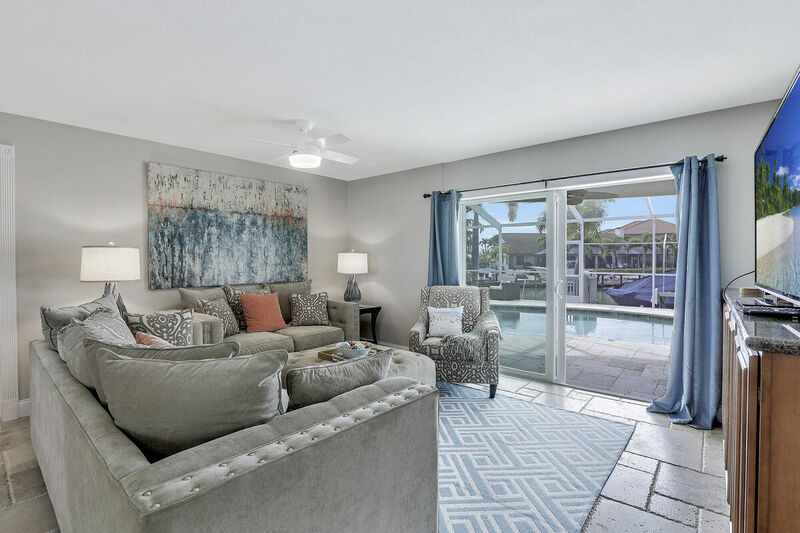 As you walk through the home, you’ll notice that everything is bright and open with beautiful views of the outdoor area. 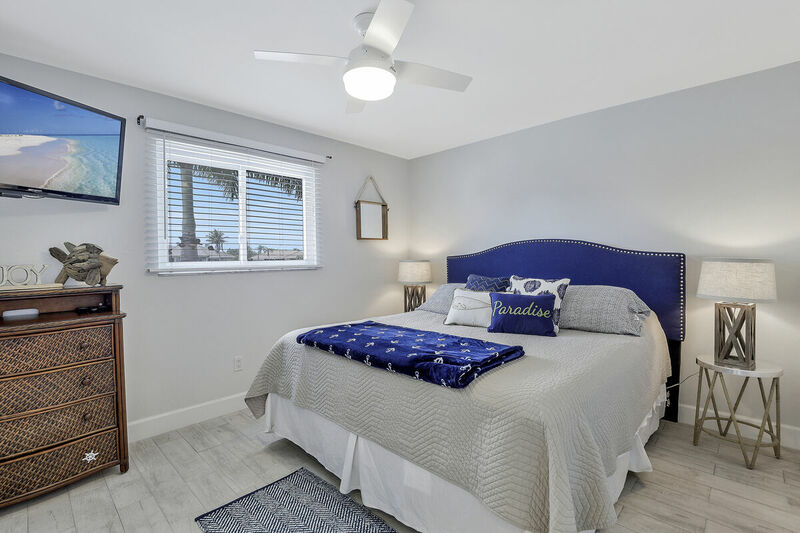 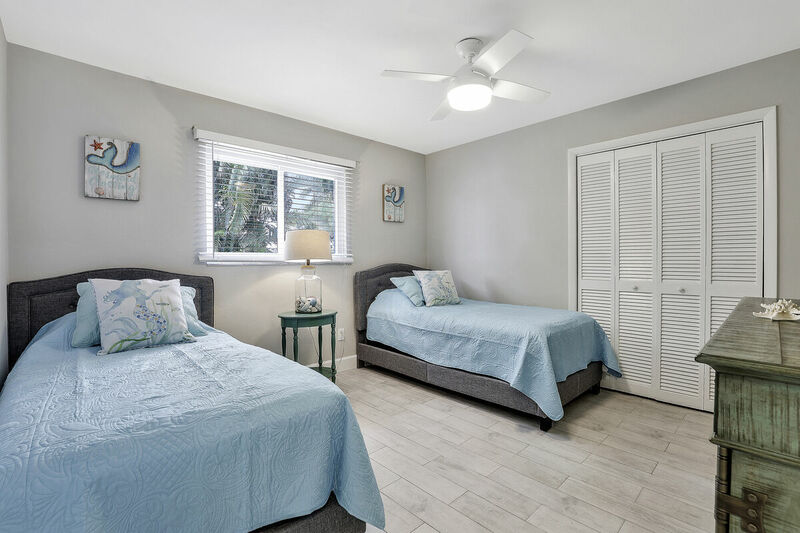 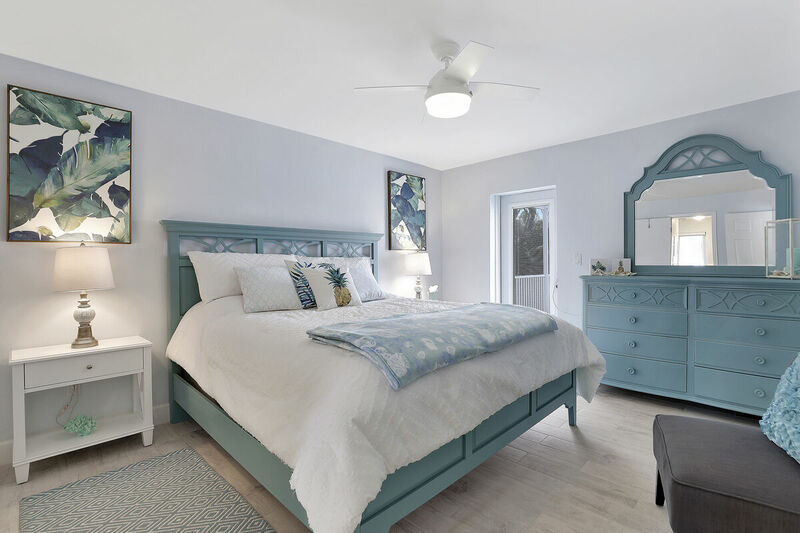 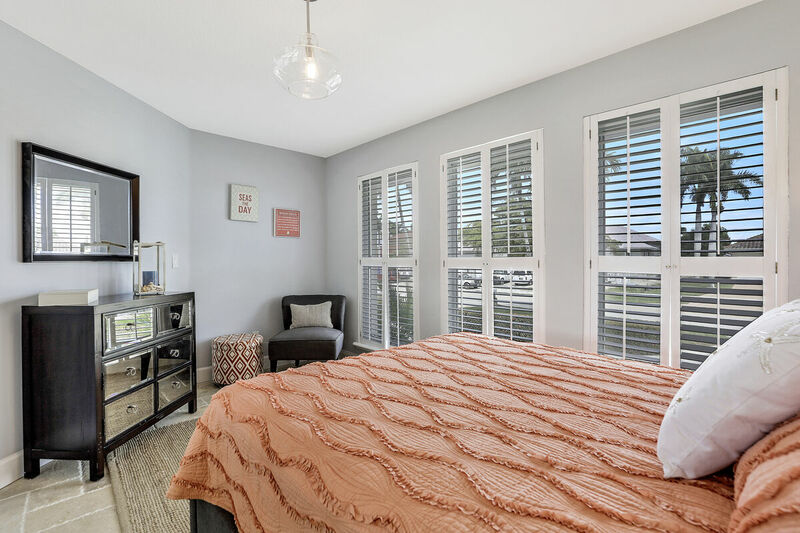 The master bedroom features a King size bed and access to the outdoor pool area, and the master bathroom has a stand-up shower along with his and hers sinks. 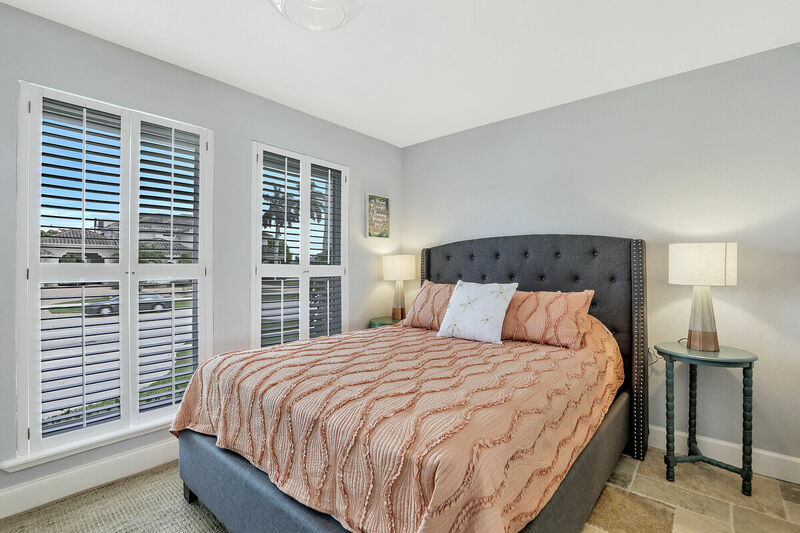 The second guest bedroom has a King size bed, bedroom 3 has a Queen size bed, and bedroom 4 has two Twin beds. 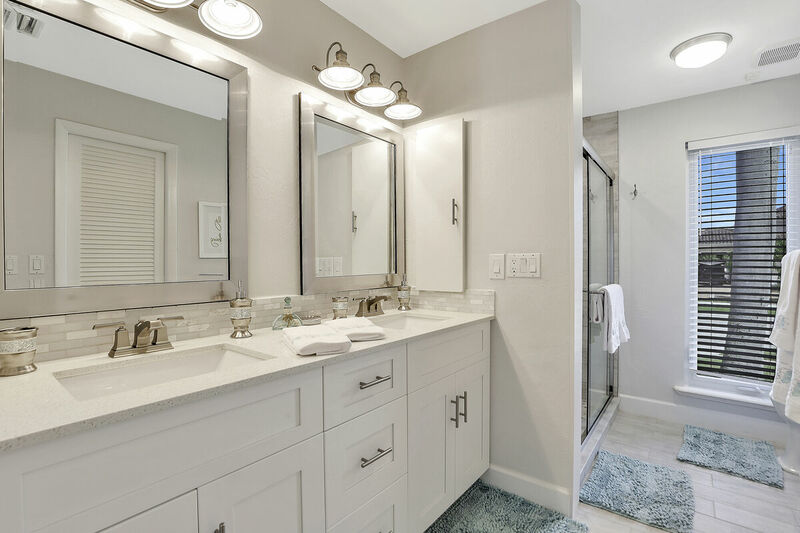 The second guest bathroom also has his and hers sinks, and provides access to the pool areas well. 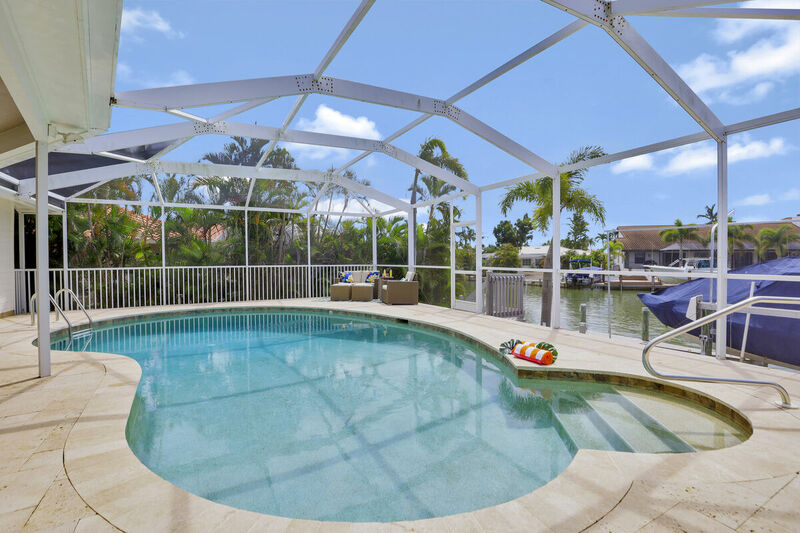 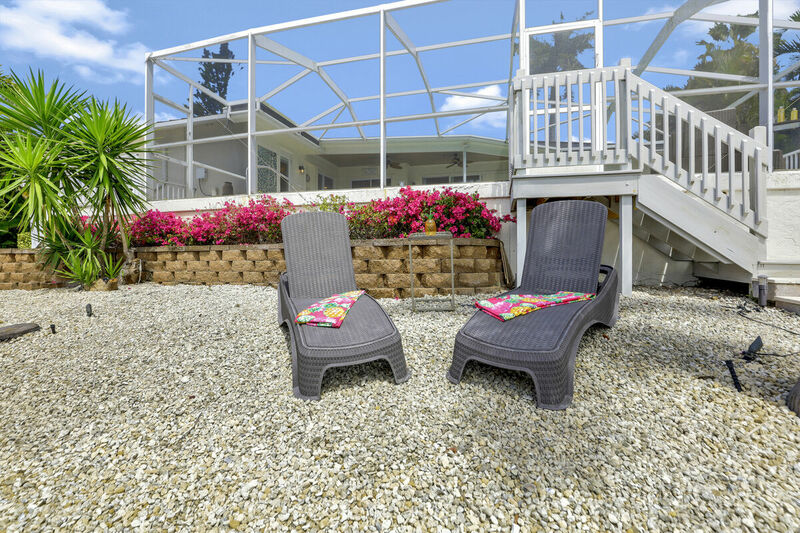 Let this home be your next escape to endless fun and relaxation!